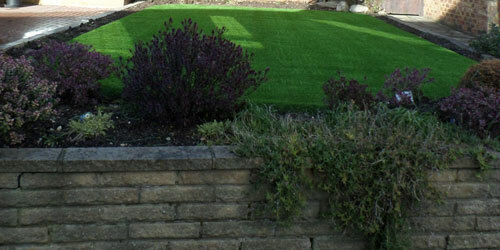 At Perfect Grass we aim to introduce beautiful garden products that are low or very easy maintenance. People’s time is becoming more precious and they don’t want to devote the whole weekend to maintaining it. 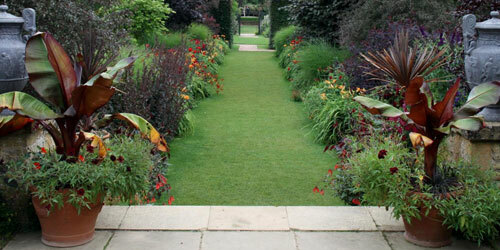 Previously many people chose to deck the whole garden or pave it over. Thankfully, we believe we have come up with some much better ideas so that you can have a beautiful garden whilst at the same time having some spare time to enjoy it. Tired of having to replace broken fence panels or don’t know what to do with an unsightly brick wall? 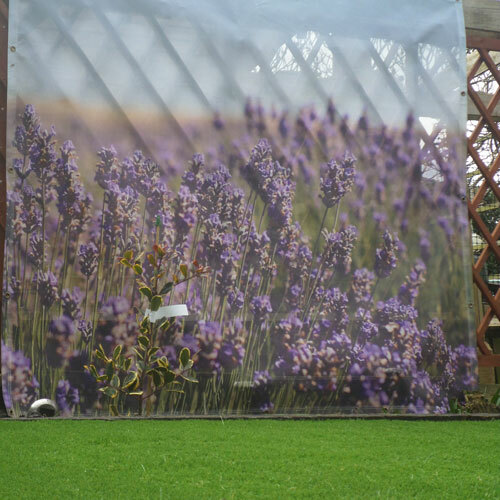 These breathable garden screens are ideal to cover old fences or walls. Simple to install with just a few clips or nails they will brighten up any garden. Currently there are 6 different designs available with further designs on their way. Being made from mesh the banners won’t act like a sail in the wind and their PVC coating is guaranteed to last for years. Do you spend hours upon hours edging your lawn? A simple way to free up your time is to install permanent edging. This could be brick, stone or wood. 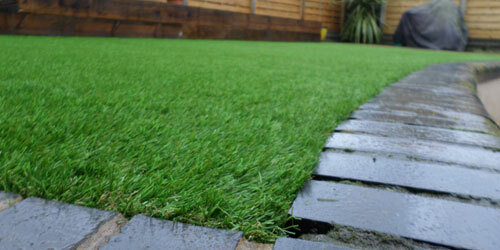 Choose the material that fits in best with your garden’s surroundings. Artificial grass has improved significantly in the last 10 years. It used to stick out like a sore thumb but now it is becoming more and more realistic with the introduction of different coloured fibres and lengths of grass. You can now even get your artificial grass to smell like a freshly mown lawn with our artificial grass cleaner. Why not order a sample pack and see for yourself.